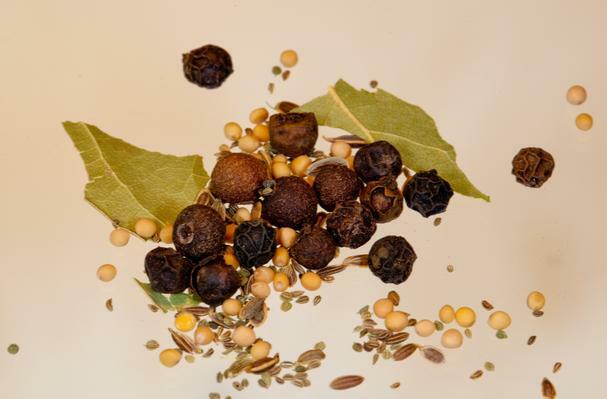 Pickling spice is a mixture of spices used for pickling meats such as corned beef and sauerbraten; vegetables such as cabbage, onion, and mushrooms; and fish such as salmon and herring. Pickling spices are best left whole so the flavor cooks in without leaving any powdery residues that would make the liquid cloudy and unappealing. Tie pickling spices in a cheesecloth bag for easy removal. Use about 1 tablespoon pickling spice for each quart of liquid.